Just wanted to let you know that Mirabelle born on Monday 8 August at 3.36pm weighing 7lb 5oz. Went to hospital at 6am and it was all very quick. Definitely credit all the spinning classes keeping my fitness up! Made such a difference especially with the recovery. Back to normal now !!! Had been exercising every day still in Miami and was even in the gym on Sunday the day before. Dr has said I don't need to wait to exercise and can start up again now - just not to overdo it of course. 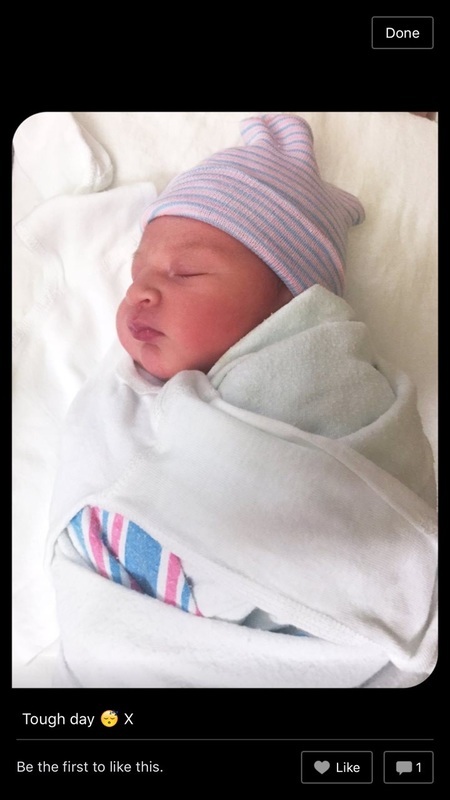 Here is a pic of the little one. Once we are back in cayman will be back to the classes! Thanks again for be great classes!! Below is Claire, getting fit and ready for a new experience. 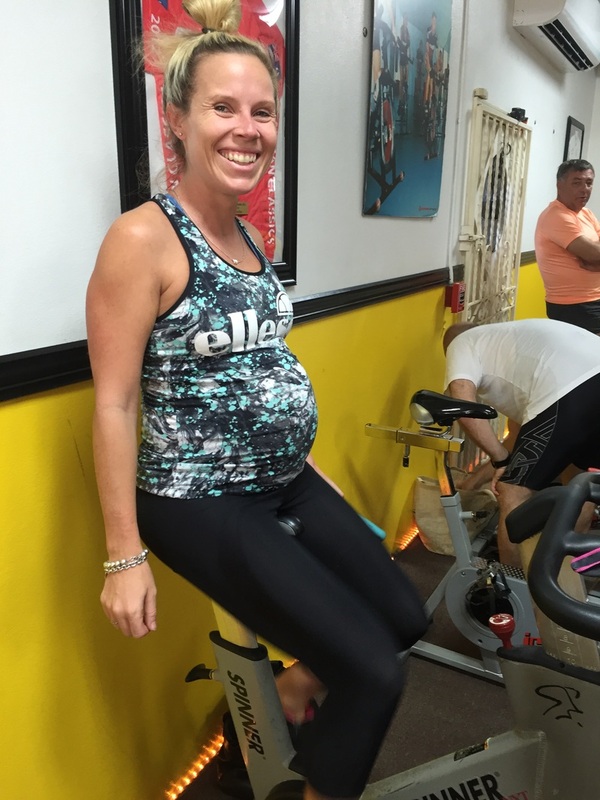 Below, Jamie has been working out with us all along her pregnancy, congratulations on the new baby. While regular bicycling provides a healthy pastime when you aren't pregnant, your growing belly can increase your risks of falling. 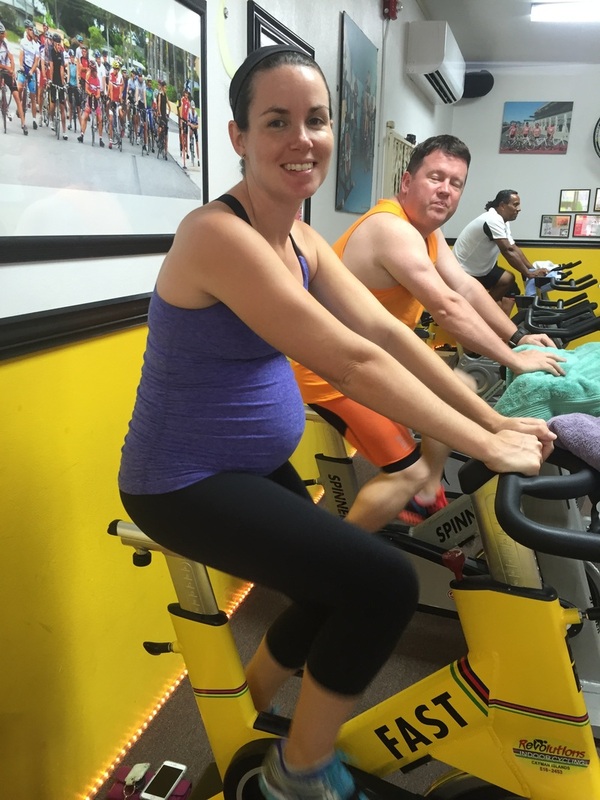 Stationary bicycles and spinning classes provide a safer alternative during your pregnancy, reducing your risk of accidents. While high-impact exercises may lead to joint injuries, low-impact exercises, like spinning, can help strengthen your muscles without risking your joints. Exercising during your pregnancy can help you maintain a healthy weight and may help decrease the time it takes to get back into shape after the delivery of your baby.